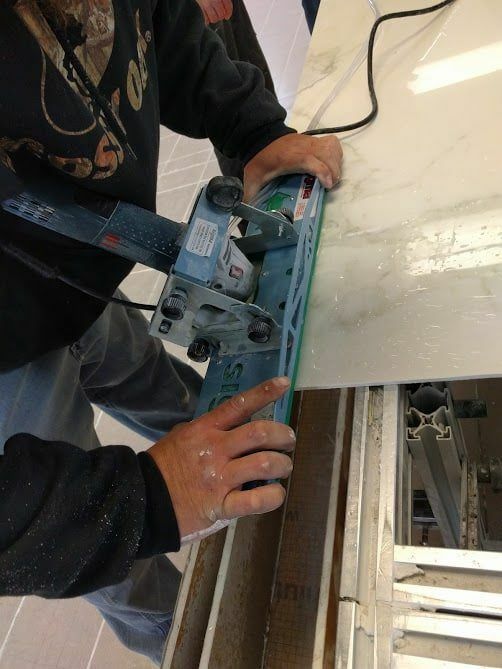 One of the most common requests we get when designing a shower or installing porcelain tile is to make the grout joints as small as possible. With these 5 foot x 10 foot tiles you can all but eliminate grout joints in the kitchen or bathroom and they incredibly beautiful tiles. 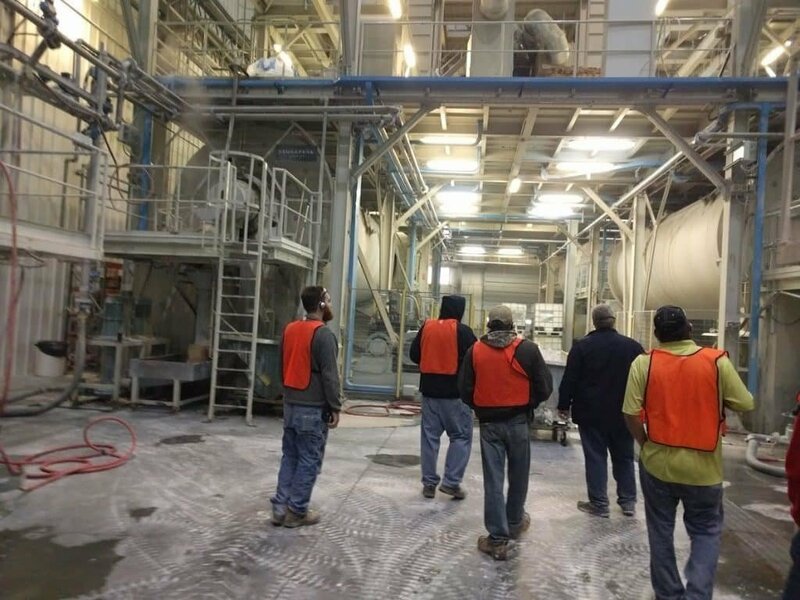 I recently had the opportunity tour the Stone Peak Ceramics factory in Crossville Tennessee. 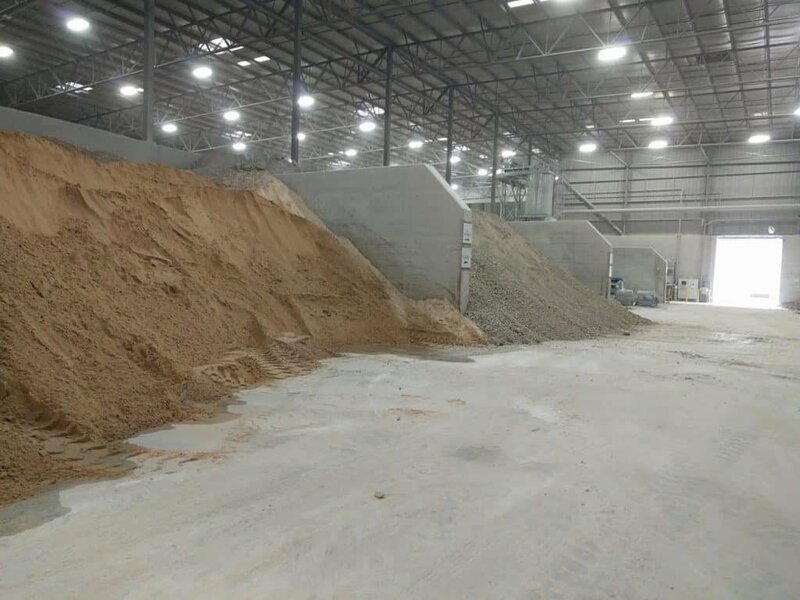 Stone peak produces high quality porcelain tile of various sizes and types right here in the USA at their Zero Waste factory. We’ve been carrying Stone Peak tiles since late last year and and have installed it on several projects. Shower made from two Large Porcelain Panels… No Grout Joints! 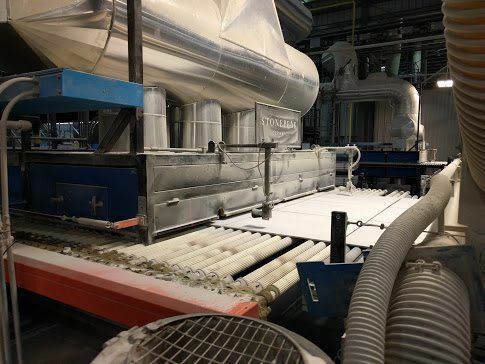 What are Large Porcelain Panels? Large porcelain panels (LPP) are pretty new to the tile world. They have just been developed over the last 6 years by a few companies. They are so new in fact that few people have heard of them and even fewer know how to install them. Also called Thin Porcelain Panels (TPP) they are strong, thin porcelain tiles that come in sizes up to 5 feet by 10 feet. We carry large porcelain panels from Crossville Tile. 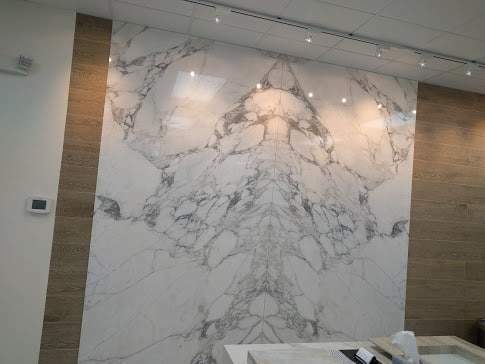 Many of the panels are designed to look like natural stone like carrera marble or travertine and they even have bookmatched panels so the veining can carry from one panel to the next. But they also come in solid colors and other modern colors and textures. 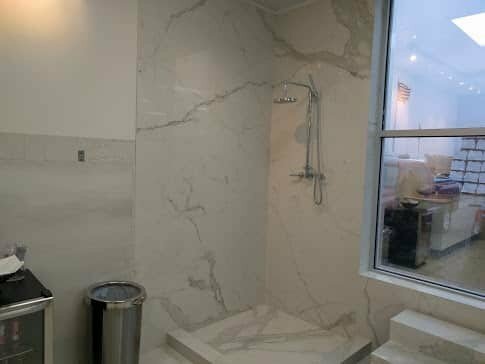 Thin Porcelain panels can be used to replace granite or quartz on counter tops, installed on shower walls or on floors where fewer grout joints are needed. 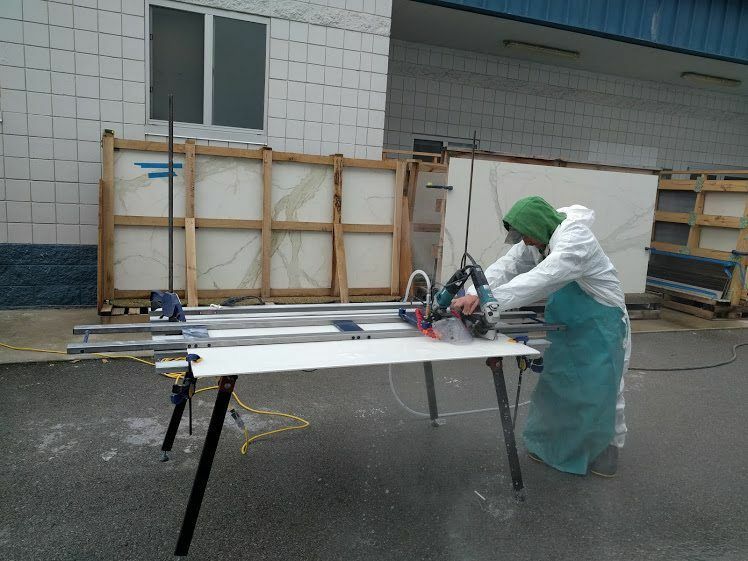 Why Use Large Porcelain Panels? They don’t have many grout lines. As the slabs are huge, there’s little need for unsightly grout lines. This makes for an expansive, attractive sheet of material that often doesn’t even look like traditional tile to the untrained eye. They Can be installed over existing tile.large porcelain tiles can be as thin as 1/8 of an inch thick. 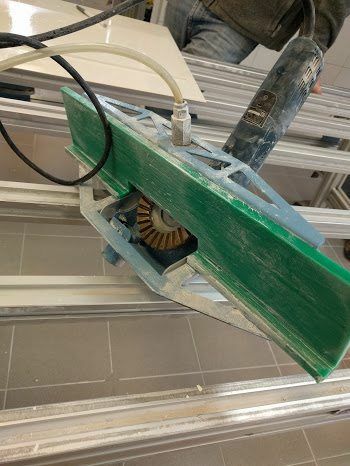 This thinness means they can be laid directly over pre-existing tile without tearing out the old stuff, saving the installer a considerable amount of time and labor. They’re incredibly versatile. These tough, yet attractive tiles can be used for just about any application. Floors, countertops, walls, showers and tub surrounds are great candidates for large porcelain tiles. They currently come in understated, soft colors. Popular hues are beiges, grays, off whites, cream, browns, and charcoals. They also feature a number of popular designs and textures, such as natural stone, wood-look, concrete, and metal. They’re scratch and spill resistant. 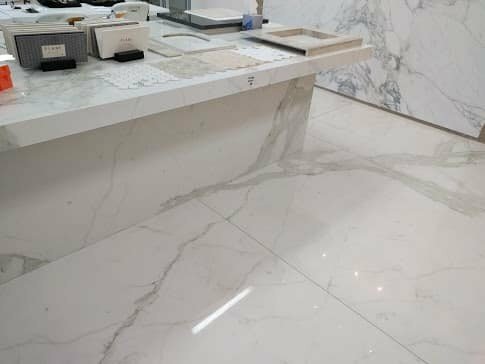 Due to their hardness and low porosity, mega porcelain tiles resist scratches and stains exceptionally well. Cleanup doesn’t have to be rushed, nor more complicated than a soft, wet rag across the floor, counter, or wall. And the hardness doesn’t just make them scratch resistant; these tiles are so tough that they won’t crack if a heavy pot or skillet accidentally falls on them. 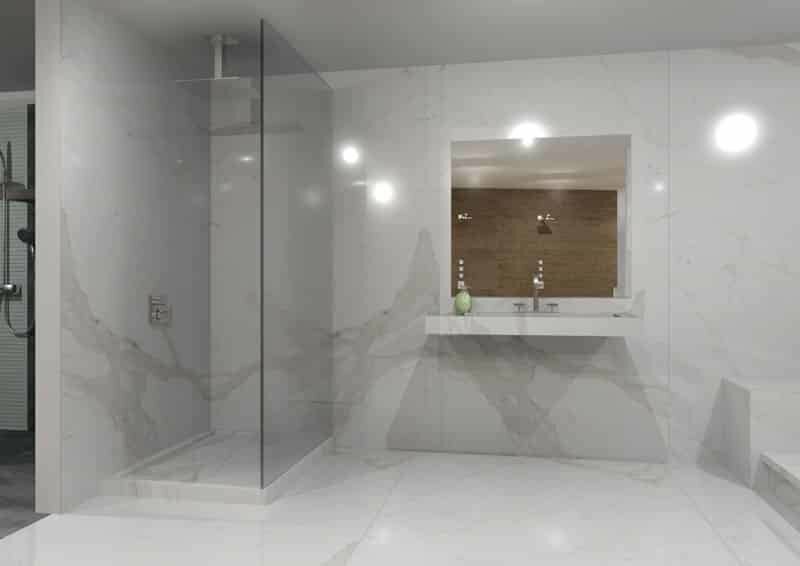 Large porcelain panels are more expensive to install. They require some specialized tools and techniques. I was very surprised how easy to manage the tiles were and how durable. 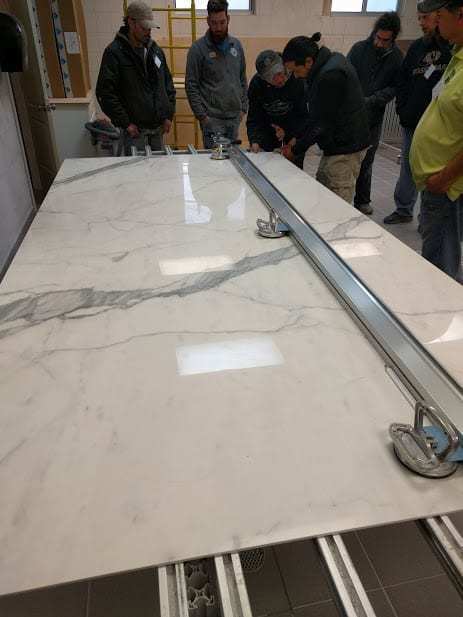 A 5 foot by 10 foot panel weighs about 140 pounds, a pretty easy weight to manage for two adults especially when compared to natural stone panels like granite of quartz which are much heavier. The training lasted two days with about 1/2 a day of classroom training and 1 day of hands on. The rest of the time was spent touring the factory. We were taught how to properly cut, handle and install the tiles. I left the training confident I could install the panels and excited about the many uses for the product. McManus Kitchen and Bath is a certified remodeling contractor (lic# CRC1331326) with a full service kitchen and bath showroom and full time design team. We have been remodeling in Tallahassee for more than 15 years and specialize in the gut renovation of kitchens, bathrooms and whole house interior remodeling. This entry was posted in Bathroom Remodeling, Kitchen Remodeling Tallahassee. Bookmark the permalink. ← Are Ikea Cabinets Right For Your Kitchen?